Noel Whelan insists Leeds United have not replaced Chris Wood and should have had a striker like Jordan Hugill lined up to come in for the Kiwi. Leeds sold Wood to Premier League side Burnley for an initial £15m in the summer and in so doing lost a man who scored 30 goals last term. The Yorkshire giants landed Pierre-Michel Lasogga on loan from Hamburg to replace Wood, but the German has struggled to consistently effect games in the Championship. 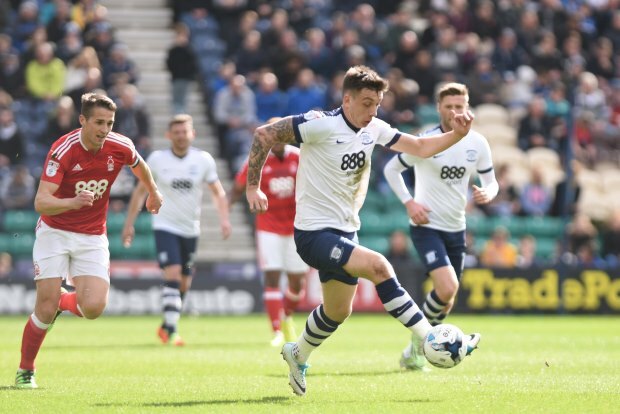 Whelan has been calling for Leeds to sign another striker and the Whites have been linked with Preston North End's Hugill. And Whelan believes Leeds should have replaced Wood last summer with a natural finisher, name checking Hugill, while he has no doubt that if they can land one then the goals will flow. "We should have had a replacement ready there when Wood left, a Hugill, somebody like that to come straight in and fill that space", he said on BBC Radio Leeds. "We never ever replaced him. "We've got really good creative players in that midfield area now and wide, but yet there is no natural striker, who would absolutely thrive playing with that frontline and creativity we have there. "You would have an abundance of chances if you had that proper striker in there who has height, speed, ruthlessness and that natural ability to put the ball in the back of the net", Whelan added. It remains to be seen whether Leeds will sign a striker in the current transfer window as they look to make sure their promotion push remains on course. Thomas Christiansen's men have lost three of their last four games in all competitions, but remain outside the Championship playoff places only on goal difference.